Achieve 100% accuracy on scanned and printed materials. Automatically identify, decode and validate all barcodes within digital and scanned documents. Utilizing a simple one-click button, all standard barcodes are located within the document, highlighted, then displayed. 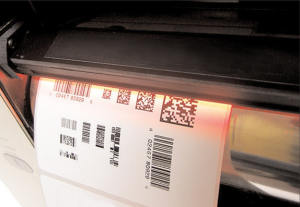 Operators can quickly verify barcode values then process accordingly. AutoProof Pro™ Barcode is a part of a modular system integrated within the AutoProof Pro™ Imaging Suite collection. This collection is 21 CFR Part 11 compliant and features a repository for storing all barcode projects allowing for easy recall and processing.